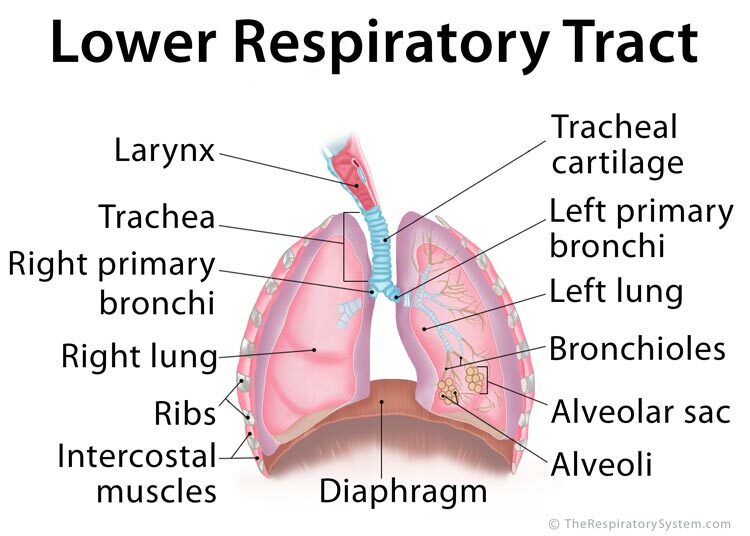 The second half of the human airways, continuing after the larynx, including the trachea, bronchi, and the respiratory structures within the lungs – the, bronchioles, and alveoli, is referred to as the lower respiratory tract [1, 2]. 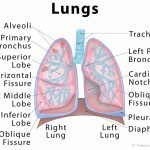 The organs making up the lower respiratory tract are all protected and kept in place by the rib cage, and the sternum, while the diaphragm and the intercostal muscles are vital to their functioning as well . Beginning from the inferior end of the larynx, it is a flexible pipe-like structure primarily responsible for letting the inhaled air travel down the airways to reach the lungs . The muscular pipe has small cartilaginous rings surrounding and supporting it, preventing it from collapsing under the changing air pressure during inhalation and exhalation . 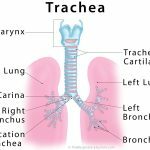 The trachea branches into the left and right bronchi, which then enters the left and right lungs respectively. The short flexible bronchi are also surrounded by cartilage rings . 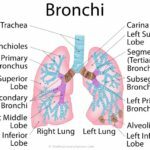 Once the bronchi enter the lungs, they start branching further into smaller airways – first into the secondary bronchi, then the tertiary bronchi, to finally divide into the smallest branches of the airways, the bronchioles . 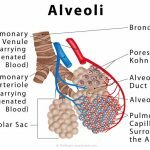 Alveoli (alveolus), the last part of the lower respiratory tract, are the tiny air sacs located in clusters at the end of the bronchioles . Collectively referred to as the alveolar sacs, these are surrounded by an intricate network of blood capillaries. 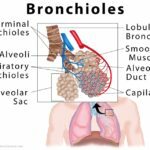 This is the primary respiratory area within the human body, where the inhaled air travels through the trachea, bronchi, and bronchioles, and comes in contact with the blood capillaries so the oxygen and carbon-dioxide exchange can take place. The oxygen from the inhaled air is passed into the blood cells to be carried throughout the body, while the carbon-dioxide from different parts of the body reaches the lungs to be carried out with the air during exhalation [9, 6].